During this research study, the major players operating in the solar simulator market in various regions have been identified, and their offerings, regional presence, and distribution channels have been analyzed through in-depth discussions. To find the overall market size, top-down and bottom-up approaches have been used. To estimate the sizes of other individual markets, percentage splits are used that are obtained using secondary sources such as Hoovers, Bloomberg BusinessWeek, Factiva, and OneSource, along with primary respondents. The entire procedure includes the study of the annual and financial reports of the top market players and extensive interviews with the industry experts such as CEOs, VPs, directors, and marketing executives for key insights (both qualitative and quantitative) pertaining to the market. The figure below shows the breakdown of the primaries on the basis of the company type, designation, and region, conducted during the research study. The solar simulator market comprises a network of research and product development, manufacturing/assembly, distributor and reseller, marketing and sales, and post-sale services. 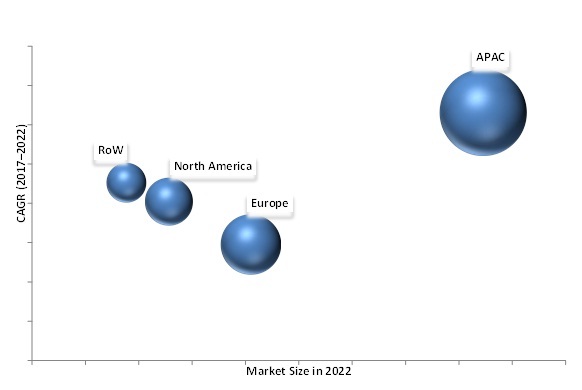 The key players operating in the solar simulator market include Newport Corporation (US), Meyer Burger Technology AG (Switzerland), Gsolar Power Co., Ltd. (China), Spire Solar (Netherlands), Solar Light Company (US), Abet Technologies, Inc. (US), Sciencetech Inc. (Canada), Spectrolab Inc. (US), OAI (US), Asahi Spectra Co., Ltd. (Japan), Iwasaki Electric Co., Ltd. (Japan), Nisshinbo Mechatronics, Inc. (Japan), Endeas Oy (Finland), and Wacom Electric Co., Ltd. (Japan). Solar simulators are used in the development and manufacturing of PV, cosmetics, paints and coatings, UV protective fabrics and textiles, and others. While solar simulators have been deployed for many years in testing and measurement environments, OEMs are looking for next-generation solar simulators with advanced sources of light and control systems that would offer versatility, high performance, and cost reduction to optimize product yields and minimize operating costs. High-volume applications such as PV rely heavily on solar simulators for research and development (R&D), test, and manufacturing. PV cell/module and material testing application are expected to hold the major size of the solar simulator market and is expected to grow at the highest rate between 2017 and 2022. The growing PV requirements from utility, residential, and nonresidential applications are directly expected to drive the solar simulator market growth. Class AAA solar simulator is the most preferred solar simulator for PV cell/module testing among the manufacturers, as it provides higher accuracy and efficiency over other types of solar simulators. Companies such as Newport Corporation (US), Abet Technologies Inc. (US), Solar Light Company (US), and Sciencetech Inc. (Canada) are involved in the manufacture of class AAA solar simulator, because of its popularity in the testing of PV cells and modules in the solar industry. The solar simulator market for xenon arc lamp is expected to grow at the highest rate between 2017 and 2022. The rapid growth of this segment is attributed to the proven technology, reliable output, and better spectrum, needed for illuminating the sample being tested. Mostly, xenon arc lamps are used in the solar industry for testing PV cells and modules. The growing PV market is expected to drive the market for xenon arc lamp during the forecast period. APAC is expected to hold the largest share of the solar simulator market in 2017 and is expected to grow at the highest rate between 2017 and 2022. The increasing demand for solar simulators in APAC region is driven by the growing solar energy market, the implementation of stringent green energy regulations across major Asian countries, and the continuous government support for the development and commercialization of advanced PV technologies and the growing market for SPF and UV resistance products. However, the high cost of solar simulators acts as a major restraint for the market. Evolving solar industry and decreasing costs of solar systems and energy storage devices act as an opportunity for the solar simulator market. Newport Corporation (US), Meyer Burger technology AG (Switzerland), Gsolar Power Co., Ltd. (China), Spire Solar (Netherlands), and Solar Light Company (US) are the leading companies in the solar simulator market. Companies in the market are strengthening their product portfolios by investing mainly in R&D. The key players in this market are also undertaking partnerships and collaborations to develop new technologies. 12.9 Asahi Spectra Co., Ltd.
12.10 Iwasaki Electric Co., Ltd.
12.11 Wacom Electric Co., Ltd.
12.12.2 Gsolar Power Co., Ltd.